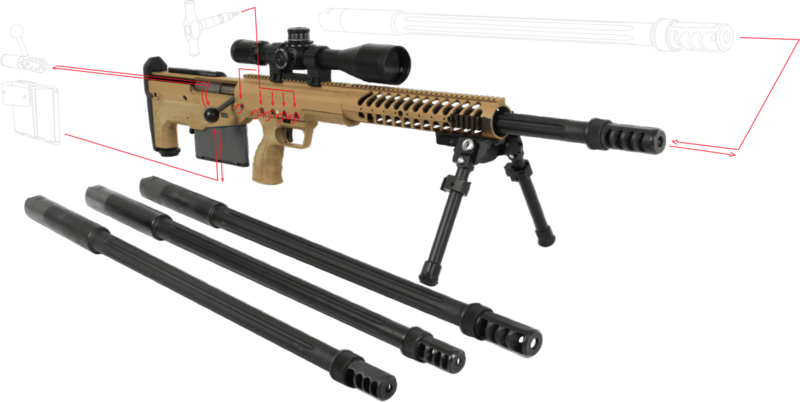 THE HARD TARGET INTERDICTION RIFLE WAS DESIGNED and built at specific military customer request to provide extreme long range accuracy with irrevocable penetration. 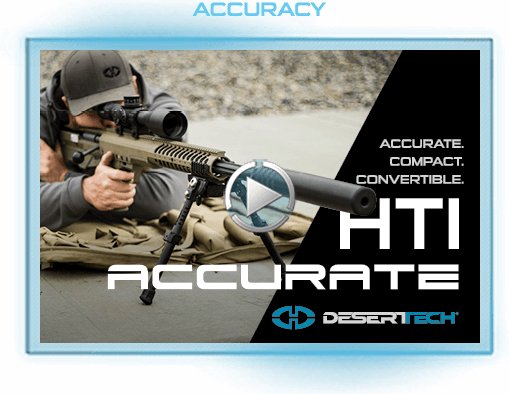 The HTI has been used in precision rifle competitions and become popular among big game hunters and shooting enthusiasts. 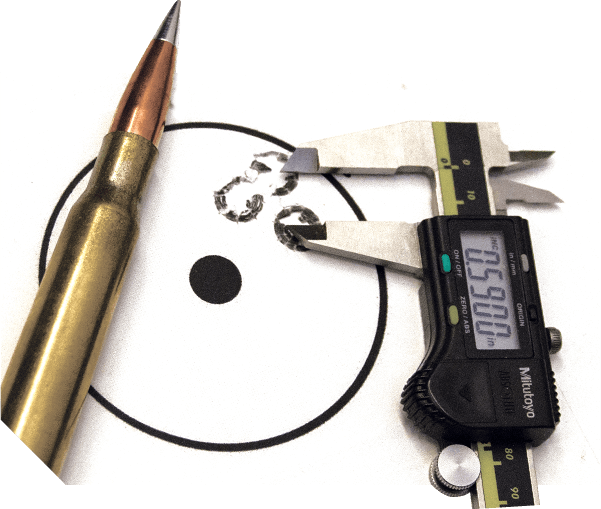 Easily convertible between multiple big-bore calibers, the HTI is accurate to 2000+ yards with any of its chamberings. 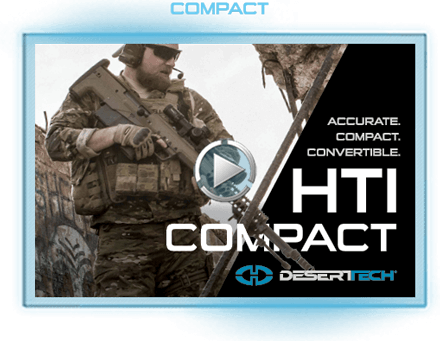 Whether you’re stopping light-skinned vehicles or extending personal-best distance records, the HTI provides extreme distance capabilities in the most compact, accurate and convertible package on earth. The perfectly-balanced bullpup configuration of the HTI makes it 11 inches shorter and 11 pounds lighter than the M107 currently in use by the US Army. 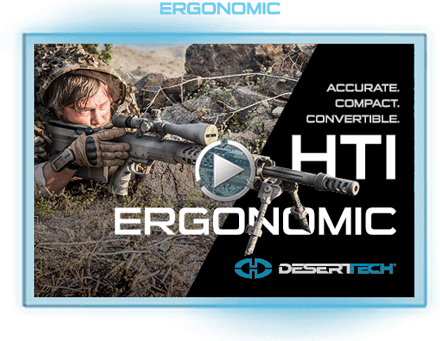 The HTI maintains exceptional accuracy because of its match-grade (free-floated) barrels, chambers and crowns, a high-quality match trigger, and solid return-to-zero barrel mounting system. 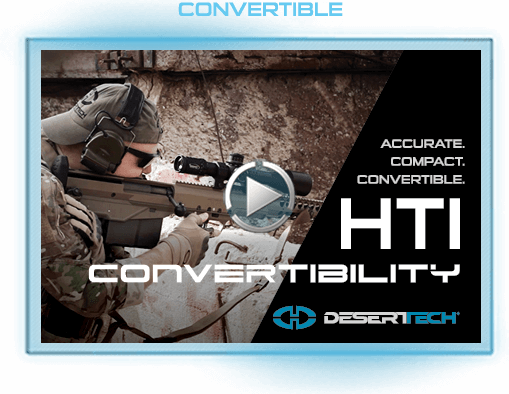 The HTI offers four powerful calibers to suit specific mission requirements. 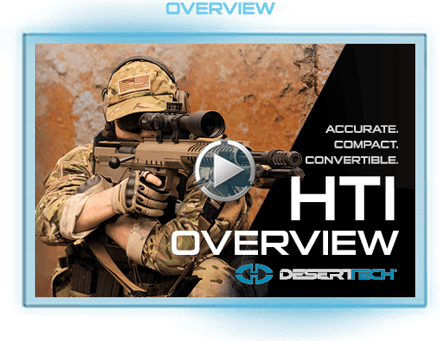 Caliber conversions for the HTI take sixty seconds and use the same HTI chassis with its free floated barrels and patented return-to-zero barrel mounting system. Each conversion kit comes with a barrel, bolt, and magazine.